Artists from across the music world have been paying tribute to Pete Shelley, after the Buzzcocks’ frontman, guitarist and songwriter died yesterday at the age of 63. The news was confirmed last night on Buzzcocks’ Facebook page, with initial reports suggesting he died at home in Estonia of a suspected heart attack. Artists including Captain Sensible and Glen Matlock paid tribute to Shelley late last night – and their messages have now been joined by others as the news begins to spread around the world. Pearl Jam bassist Jeff Ament said: “Pete Shelley RIP. Playing shows with Buzzcocks was one of the highlights of my life. I listened to Singles and tension as much as any records I’ve owned. See some of the many tributes below. 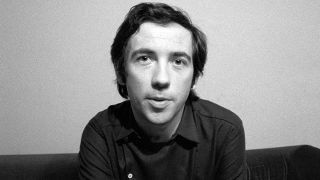 Anti-music and pro fun: Pete Shelley, the punk who changed the music business.